We are currently inviting experienced choral singers to join as this term as we prepare to perform with the Limerick Choral Union (LCU) as part of the National Year of Culture 2014. 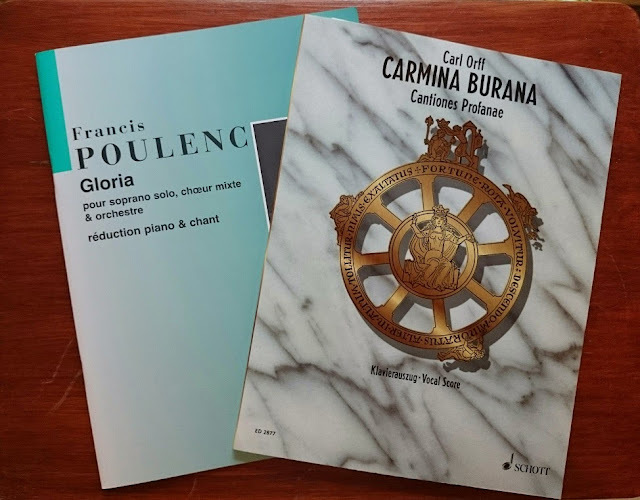 The choir will be working on two wonderful twentieth century choral masterpieces, Francis Poulenc’s fascinating setting of the GLORIA, and Carl Orff’s CARMINA BURANA, under the direction of Norman Duffy and accompanied by Jacqueline Lillis. The works will be performed on 7 December in the Concert Hall of the University of Limerick accompanied by an orchestra and directed by Malcolm Green. The concert will be one of the highlights of Limerick’s year as the City of Culture and promises to be a truly glittering affair. Our regular rehearsals are on Sunday evenings from 7.30 to 9.30 p.m. in St Patrick’s Band Society’s Band Hall beside Galway Railway Station. This term, there will be some additional Monday evening rehearsals, and two joint rehearsals with LCU, one in Limerick and one in Co. Clare. Successful applicants and existing members of the Association are in for an immensely challenging and rewarding experience learning and performing these two magnificent works.